Robotics is a topic that is increasingly making news in today’s day and age. You may have often switched on the television, just to find panellists at a news program fiercely debating on the pros and cons of Robotics. Indeed Robotics can be a very controversial topic of discussion. It has its fair share of supporters on one hand, and naysayers on the other hand. While the proponents stress upon the various beneficial impacts that robotics have on the society, the opponents of robotics firmly believe that robotics and increased automation will create chaos in the society by rendering a majority of the workforce obsolete. Irrespective of the verdict of such debates, it is a widely acknowledged fact that a career in robotics will soon be the most sought out one. Solely due to its impact on the industrialization of developing countries. If you are a student interested in this field and wish to pursue a career in robotics, then you are on the right track. There has been no better time to enter into a robotics career than now. So what are the applications of Robotics? Before we venture any further, let us ask ourselves why robotics is such an important field? The simple answer is that robotics has the ability to affect and influence almost every area of our lives- personal or professional. It raises the quality of life and standard of living by efficiently performing tasks that are too mundane, dangerous or dirty for humans to perform. It is basically the science applied into the physical environment. Therefore, the influence of robotics is immensely vast. While a career in medicine will get you involved with the treatment and wellbeing of human beings, a robotics career can get you involved in anything from healthcare to the military. Even from smart homes, automobile sector, disaster relief efforts, exploration of marine life to the aerospace industry, robotics has it is role to play in almost all the fields. Which type of industries make large-scale use of Robotics? In military, robotics is being widely used in detecting bombs and unmanned surveillance activities. In the field of disaster relief, robots are used for search and rescue. Robots are also used in manufacturing cars, computers, electronics etc, and it is now increasingly used in agriculture for harvesting crops at large scale, weed control and soil analysis. There are also nano robots, which are used to count the number of molecules in a chemical sample. And even robots have their impact on every aspect of Space exploration. However robots will most likely to be used in the construction and healthcare sectors in the coming days. In fact, patients now want a robot to operate on them for its increased precision and lower rates of error during surgery! What are the skillsets required to enter robotics career? So how do you go about preparing for a Robotics Career? What are the skills one must possess to make a successful foray into robotics? First things first, any aspirant towards Robotics career should be well versed in Mathematics. This is the most fundamental step. If your foundation in Mathematics is weak, it will be very hard for you to proceed with Robotics. So be sure to work on your Maths skills. Especially on Algebra and Geometry. The second but equally important subject in which your foundation should be rock solid is Physics! Basically, good knowledge of Science as a whole would be helpful. But a good grasp over Physics is an absolute must because Physics will be your first introduction to Robotics. The third important aspect would be Computer Science. Robotics engineers are required to have programming skills too. This implies that even if one is not an expert in all the Programming languages out there, he/ she should have a good understanding on how Programming works in general. Because programming knowledge will help you to code and decode the ‘brain’ of robots. The fourth valuable skill that would hold an aspiring roboticist in good stead is a flair for technology design. Being innovative, while building robots that actually perform tasks is in actuality the core function of any roboticist and the basis on which his/her worth is judged. Apart from this, an ideal roboticist should also possess a range of soft skills. He should be patient, persistent and a problem solver, maintaining high levels of communications and having the ability to take timely and well-researched decisions. How is the future of robotics industry? As mentioned earlier in this article, Robotics is a field whose future is looking brighter as the days pass. 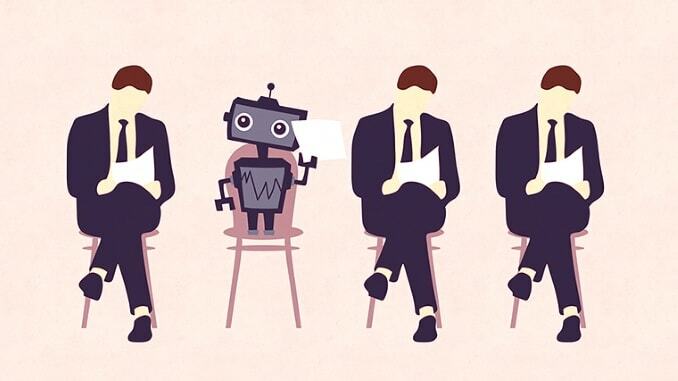 It is already a multi-billion dollar industry and according to various researchers, there will be 500,000 new jobs created in the field of Robotics by 2020. In fact, it has been rated as one of the few careers with a “bright outlook”. At this stage, in India, the Robotics Industry and consequently Robotics Careers are not as advanced in comparison to western countries. But it is catching up at a steady pace. Once established, it will have a greater scope for applications due to the sheer size of India’s population! How to acquire the skills needed to develop a career in robotics? Apart from strengthening your core fundamentals in Mathematics, Physics and Computer Programming at schools/ colleges, you could enroll in robotics training programs and build robotics projects hands-on to ensure that your understanding of Robotics is not restricted to just the theoretical aspects! It is very important to have a hands- on knowledge on Robotics. You could also take the initiative in your school/ college to conduct Robotics Workshops. Apart from getting a hands on exposure with robots, robotics workshops also teach you about brainstorming and collaborating with your team members to arrive at a common goal. But on a more individual level, it is advisable and also encouraged to invest in ‘Robot Project-based Courses’. For instance, Skyfi Labs offers a great number of quality online courses that made learning by building robots super easy for young enthusiasts right from their own homes. These robotics courses come with a special construction kit for building robots and acts as the threshold to get skilled in robotics. It can be also be used by kids with 10+ age group to understand robotics and participate in Nation level robotics competitions. You can check out the latest robotics projects offered by Skyfi labs here. With these project based courses you can access high quality videos, project tutorials and robust kits to help you become an expert in robotics in no time. At a later stage, once you have reached a certain level with respect to your understanding of robots, you can apply to major companies that offer robotics Internships. This will be a firm stepping stone to a Robotics Career in the future. The path to a successful robotics career is manifold! Various universities across the world have begun offering Robotics degree at the Graduation and Post-Graduation level onwards. The Robotics Industry on the whole sees large inflows from myriad fields such as pure Mathematics, Science, Electrical, Electronics and Mechanical Engineering, Computer Science, Biotechnology, Design and even Psychology! So there is no set career path to excel in Robotics as posed in Medicine or Law! What do Roboticists work on? Robotics is truly an interdisciplinary field. Those from the mechanical and electrical engineering backgrounds focus on designing the hardware and on lower level controls. Whereas those from the computer science background tend to work on the ‘brain’ of the robot- that impacts the robot behaviour. Robotics engineers are responsible for the design and creation of robots and also for the system diagnostics, troubleshooting, debugging programs, mechanical maintenance and repair of the robotic systems. Apart from the robotics engineers, another lucrative robotics career is with the business professionals who know the ins and outs of each robotic automated system or application and use this knowledge to make business with the commercial industries. So it doesn’t really matter which path you start with. What really counts is a desire and willingness to keep learning life long, and coordinate and work as a team to innovate and solve problems. And what is most important is to truly have a passion for Robotics. We wish you all the very best for your robotics career. Remember, if you are very passionate about having a career in robotics, you can start now by building robots. And we at Skyfi Labs will be super happy to help you land on your dream robotics job. Do comment below with your queries. Our team will get back to you in a gist.